Every three weeks, I go to the Monter Center on Long Island to receive a “maintenance dose” of Herceptin to control the breast cancer that has metastasized in my body. My blog sidekick, a 3″ teddy bear named Stretch, comes along with me. Most of the nurses in the center know about Stretch, so when we arrive he’s greeted and fussed over. Last Friday we had a nurse, Jane, who hasn’t treated us before so she was curious about the hub bub that Stretch causes. I explained to her about the blog and introduced her to Stretch. Their eyes met, she smiled at him, and it was love at first sight. Stretch of course wanted to impress her, so he volunteered to help her by watching my IV monitor. As he was sitting on the monitor, another visitor arrived, a social worker named Sandra who came to tell us about some new support programs the Monter Center is starting for breast cancer patients. In turn, I introduced her to Stretch. Well, that fickle little bear left his post at the IV monitor, crawled into Sandra’s pocket, and proceeded to charm her and offer his assistance in getting the word out about the new programs. But he deftly managed to get back to the cubicle in time to look as if he had been sitting there diligently watching the chemo monitor just as the alarm went off to indicate the session was completed. We shared some hugs and laughs all around, Stretch presented Jane with a St. Patrick’s Day plant to reassure her that she was Number One in his heart, and we went on our way feeling that not only had we treated our cancer, we had also replenished our spirit. Living with a life-threatening illness is like being on a roller coaster. Friday was one of the days when you reach the top of the hill and instead of crashing down in terror, you plunge laughing and waving your arms, forgetting your fears. Unfortunately you don’t get to step off the roller coaster at the bottom. But as the ride continues it’s always good to look forward in hopeful anticipation that the next loop around the bend will be fun instead of scary, and make sure you take along fellow riders who give you courage and inspire you. I was going to suggest you might want to find your own little mascot, too–but be warned that they are high maintenance and tend to take over your blog, as well as run your life. Cathy Scibelli has been living with metastatic breast cancer since 2012. She blogs about the ways she continues to enjoy her life with her sidekick Stretch who always has a unique perspective on their adventures. Don’t let your rearview mirror be bigger than your windshield. But that quote is right–we can’t let our rearview mirror be bigger than our windshield because that only leads us into a detour where we bump along complaining and pitying ourselves and failing to see some of the great sights that lie ahead and the possibilities that can open up if we focus on the future and stop whining about the life we left behind in that rearview mirror. In my personal experience, I’ve found the cancer highway is filled with ruts and potholes and dark tunnels. But along the route I’ve also picked up some “hitchhikers” who have turned out to be really fun and inspiring friends. I’ve discovered “new” cousins who I never had the chance to get to know when I was busy speeding along in my life at 100 miles per hour. Now that I’ve slowed down, I see a lot of sights I never noticed. If I pay attention to what lies ahead, I often discover new avenues for my writing and new opportunities to share my passion for World’s Fair history. I admit that it’s not easy to keep looking ahead and sometimes it’s scary to wonder where the road will end. But it’s still better to keep looking through the windshield than to live regretting what you can never go back to. Cathy Scibelli is a writer who enjoys exploring new avenues where she can use her experiences of living with metastatic breast cancer to inspire others to continue to “look ahead” with anticipation and not fear. It seems like yesterday I was sitting at my desk working on a research paper for a grad program when my husband Joe called me from his office in lower Manhattan. That simple statement began a day that is etched into my brain, my heart and my soul. Hours of frantic phone calls to family and friends, the endless waiting to hear if loved ones were safe. Horrific images of smoke and fire, faces frozen with terror, bodies covered in soot. The immense relief of reunions as loved ones arrived home, and the gut wrenching sorrow at the news of those who would never return–the childhood friends, the members of our brother-in-law’s fire company, neighbors from my old hometown. Life changed. Security checks became routine. We got accustomed to seeing soldiers on our streets and in our train and subway stations. Each morning’s partings took on new meaning and our cell phone batteries got a workout as we kept closer in touch. When a plane flies low overhead these days, we involuntarily look up and still find ourselves catching our breath for just a moment. Cathy Scibelli lives on Long Island and attempts to stay positive and maintain a sense of humor when writing about her life as a survivor of many crises, including a late stage breast cancer. It’s hard to believe that one year ago I had never heard of Story Circle Network. I was surfing the Internet on a whim, seeing if there were any women’s writing groups that sounded interesting. I came across the Story Circle Network website and as I looked over the site something told me that this was a distinctly different kind of group. I decided to give it a try. The first thing that told me that my instinct was right was a phone call I received shortly after joining from Barbara Miller who had read my profile and wanted to reach out to me as a fellow breast cancer survivor. I was really touched by her kindness and that inspired me to contact other members to introduce myself. I soon found myself in Sr. Mary Sullivan’s writing circle and will always regret I didn’t have the privilege of knowing her longer before her passing. As the months have gone by, my life has truly been enriched by my membership. My Facebook friends list has grown, with new friends spread across the country–and one as close as the next town. Having several of my essay submissions accepted for Story Circle publications gave me the impetus to finally start the blog I’d been thinking about writing. That has been a real blessing in my life, deepening old relationships, strengthening new ones and opening up new publishing opportunities. I don’t know where the road will lead in the year ahead, but one thing I do know is that I want to keep journeying with the Story Circle Network as my companions! 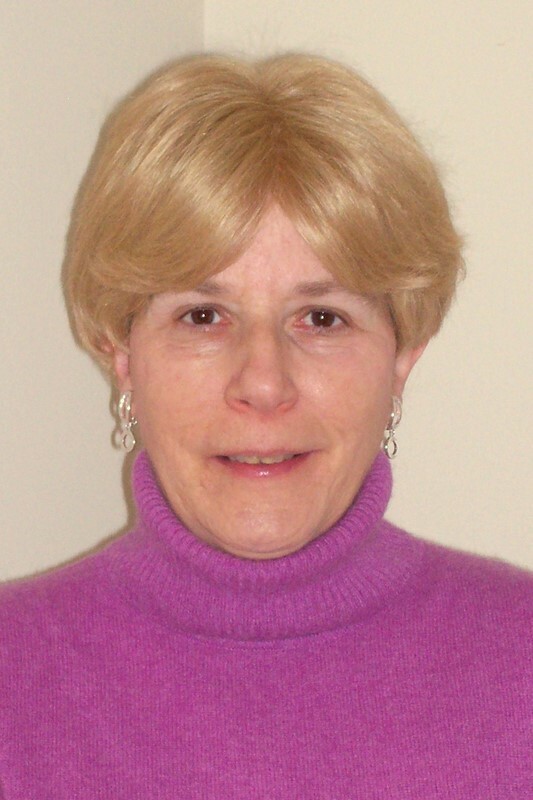 Cathy Scibelli’s writing has been featured in a variety of publications including A Book of Miracles, New York Newsday, Fate magazine, Teddy Bear Review and best of all, Story Circle Journal! I decided that this year for my birthday I’m going to give myself something I’ve always wanted. Permission. That’s not to say that I won’t appreciate all the thoughtful material gifts I receive from family and friends. But I think the gift I’ve picked out will be the most useful, especially when it comes to my writing. I don’t know whether it’s the way we’re raised or something in our gender, but most women I know have trouble allowing themselves to focus on their own personal projects. In my experience, most men don’t seem to have this problem. They can step over a pile of dirty clothes on the floor, grab some leftovers out of the fridge, push aside a stack of bills on the table and sit in a contented coma watching a sporting event for several hours without the slightest pang. So this year I’ve decided I’m going to give myself “permission” to do the same when it comes to my writing. I’m going to tell myself that the house won’t fall down, the family won’t be poisoned or permanently scarred, and the world won’t end if I don’t take care of every little thing that needs doing before I allow myself some time to work on my writing. And when I’ve accomplished my writing goal each day, you can borrow my “permission” to do the same. Cathy Scibelli has published personal essays in several anthologies and magazines and recently started a blog. With her new gift of permission, she plans to finally work on the two books she’s had outlined for several years. Our family is gathered around our scraggly, tinsel-laden tree in our tiny living room. The stockings are hung by the cardboard chimney and the painted paper fire is glowing from the light of an orange bulb attached to the back of it. The Christ Child is in the manger surrounded by a conglomeration of figures my mother has put together over the years, each one purchased from Lamston’s five-and-ten. There are about six Wise Men, ten angels and fifteen shepherds, along with two St. Josephs. (When my mother found a St. Joseph she liked more than the original one, the first St. Joseph was demoted to a shepherd.) Some pieces are plastic, some china. One angel is missing his nose and a camel has a chip that looks like one of the shepherds’ dogs has taken a bite out of his leg. All is right in our world tonight. 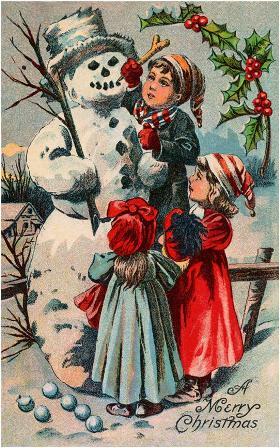 Maybe it’s time to turn a deaf ear to these messages and return to the values we once had, realizing that the richest among us are not necessarily those who can afford to have the best holiday money can buy. 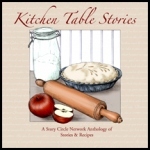 Cathy Scibelli is a Story Circle Network Star Blogger. A list of her published writing appears on her Facebook page she maintains a blog called The Iconic Muse. Today I’m celebrating the good news I received–my MRI was “normal,” making me officially a two-year breast cancer survivor. The two year mark is an arbitrary one, but nonetheless it’s certainly comforting when they tell you that your odds of surviving long term just increased a few notches. So how to celebrate? The first reaction to news like this is always to feel as if I want to dance on the moon and shout the news from the mountaintops. Everyone I mention my good news to tells me things like “You should go out to a fancy dinner,” or “why don’t you take a really special vacation?” or “buy yourself something great.” But an odd thing happens after you’ve been through a life-threatening battle with disease, or at least in my case it happened. The most ordinary things that I used to take for granted become the very things that feel special and celebratory. It’s like winning the lottery to hear that you’ve just beaten the odds and been given the opportunity to enjoy the fall (my favorite season) without another doctor appointment or scary test until after Thanksgiving. Suddenly, I can feel “normal,” joining the rest of the world picking out my Halloween pumpkins and buying decorations, enjoying long walks in the cooler weather watching the fall foliage emerge. I can look forward to the Pumpkin Fest at my cousins’ Sugar Shack where I can get plenty of warm hugs and hot cider. Then I can come home to my cozy apartment, do some fall cleaning and redecorating, work on my blog and writing class, and continue participating in the women’s writing and breast cancer groups I’ve joined. Don’t get me wrong, I do still have bigger goals on my Bucket List. One day I’d like to go out to San Francisco and see some of the sites my father told me stories about seeing when he was there while in the Army. I’d like to visit relatives in Tennessee and then attend the Story Circle conference in Texas next April. I think about one day moving to the country and buying a little place where we can have a garden. But right now it just feels great to wake up in the morning and look forward to a “normal” day. Because when you feel as if every day is a gift and where you are in your life is a place surrounded by loving friends and family, that’s really all you need to have a celebration.